Following tradition, the mayor of Pyeongchang, South Korea, the next host city for the Winter Games, has accepted the Olympic flag. The crowd at Fisht Stadium is listening to the South Korean national anthem, and will watch a cultural presentation on South Korea. The Games of Pyeongchang run Feb. 9-25, 2018. And they should feel more like true Winter Olympics than the Sochi Games did. The average temperature in February in the next host city is a chilly 22 degrees. 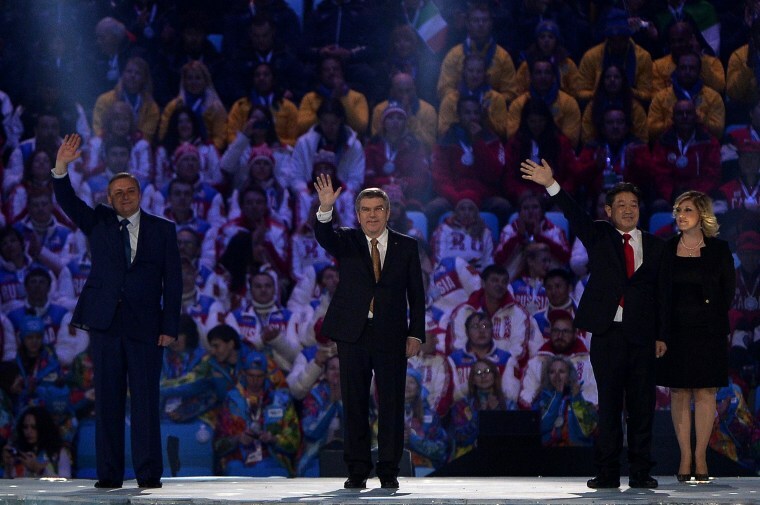 Before long, the Olympic flame will be extinguished in Sochi, and the games will be at an end.